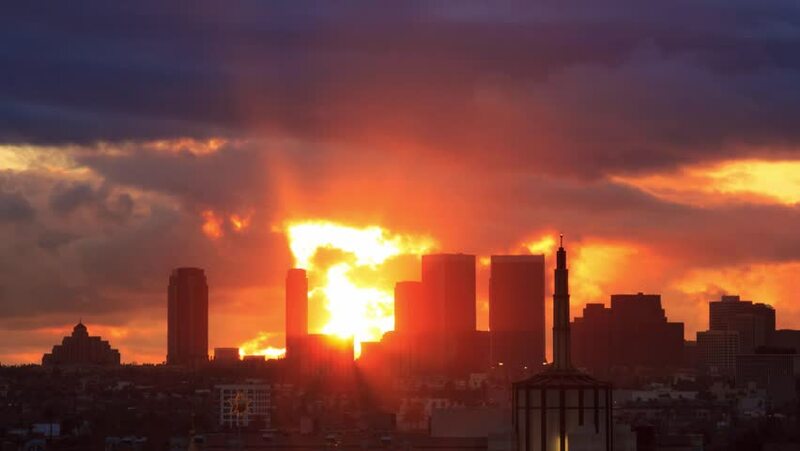 Sunset over Los Angeles skyline. View towards Century City and Beverly Hills. 4k00:05Sunset over Los Angeles skyline. View towards Century City and Beverly Hills.